How will you be able to rock them you ask? Thats right Apple Cider Vinegar is the answer to all your problems! All these damn years I thought I was allergic to fake hair, I was actually only allergic to the chemicals that fake hair is treated with!! That means this whole time I could have been out here stylin on these hoes with my protective styles and saving my pockets from the cost of a human hair wigs chile, LOL! But now that I know...I can pass the lesson onto you, so you can save your scalp and stop being jealous of all the girls you see wearing their faux locs and and style on these hoes like im bout to. Without the itchy scalp screaming to be set free! Synthetic hair, no matter if it is braiding hair, twisting hair, pre twisted for crochet styles, marly hair....YOU NAME IT! 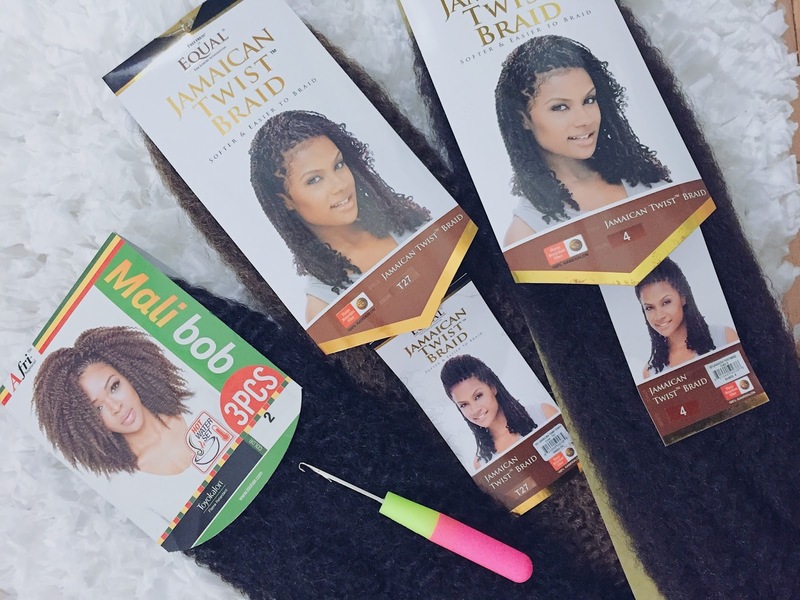 It has all been treated and coated with an Alkaline base, which helps keep the hair from sticking together and gives it it's heat resistance qualities. All great things in theory, however if you're like me this "helpful" chemical also causes your scalp to become extremely irritated. The next thing you know your dealing with a red, dry, itchy, flaky scalp that no amount of olive oil or moisturizers can treat. Oh and if the scalp wasn't enough...don't get me started on the little irritation bumps that can show up on the side's of your face or back from the styles rubbing against your skin. So what do you do? How do you fight back against the irritation and look fly while doing it?! Yes the Holy Grail and answer to all your prayers is sitting right in your kitchen pantry. 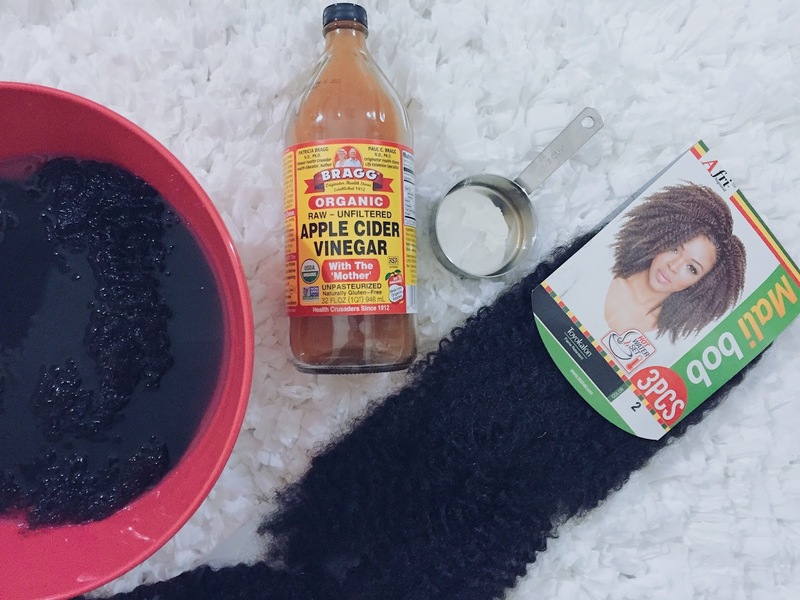 Apple Cider Vinegar while having a host of other healing properties and health benefits will also strip your synthetic hair of all of those pesky chemicals in a few easy steps. 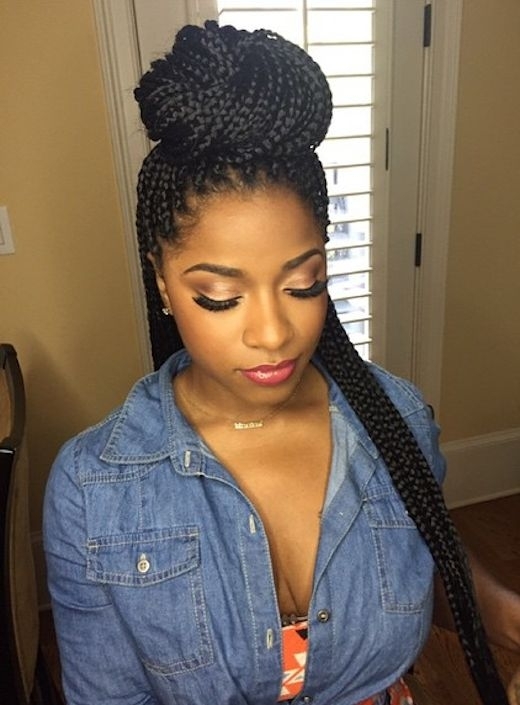 You'll be care free and swinging your braids in no time! 1) Grab your desired synthetic hair from your local store or amazon etc. Yup Amazon sells hair, if your looking for some great deals try these links HERE, HERE & HERE. 2) Fill a bowl large enough to fit your hair with lukewarm water. Please be mindful that you may need to do this in stages, soaking a few packs or one pack of hair at a time depending on the size of your bowl. 3) Pour 1/2 cup -1 cup of Apple Cider Vinegar into the bowl of water and stir to mix. 4) Add synthetic hair to the mixture in the bowl and let sit for 10-15 minutes. 5) You will notice a white film in the water, at that point remove the hair from the bowl. 6) Rinse the hair with lukewarm water. 7) Squeeze hair to remove excess water and hang to dry. 8) Repeat process as needed for as much hair as you have. Personally, I didn't have high hopes the first time I tried the rinse but much to my surprise after installing my hair I had no reaction. It was pretty much the equivalent of me wearing human hair. I was and still am super impressed, and highly suggest giving the Apple Cider Vinegar method a try. If you have already installed your hair and are having issues with scalp irritation but don't want to take your protective style out there is still hope for you. You can make a smaller version of the same solution and use a spray bottle to target your scalp to get relief then follow up by washing your hair with the solution to gain added relief, but remember to rinse your hair very well. I noticed when I do this with my synthetic hair I see no white stuff though. Maybe ill try washing next time.